The first season of Life Is Strange leaned on melodrama to give some stakes to its story of a time-traveling queer girl and a potentially destructive tornado. This season’s first episode also leans into schlock, but this time, the story is about racism in America. Sometimes, that melodrama made me groan. When it works, though, it really works. 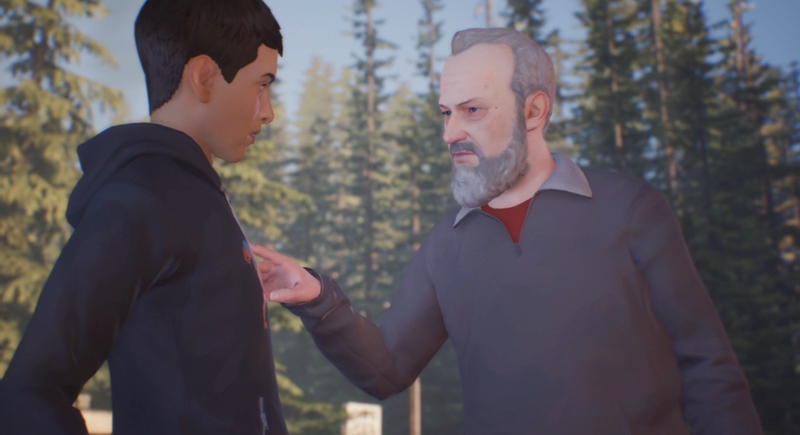 Near the beginning of the game, the character you play as, Sean Diaz, talks to his dad about getting older, and his dad makes an offhand reference to how “things are kinda scary out there in this country right now.” Soon afterward, you find out exactly what he was referring to. 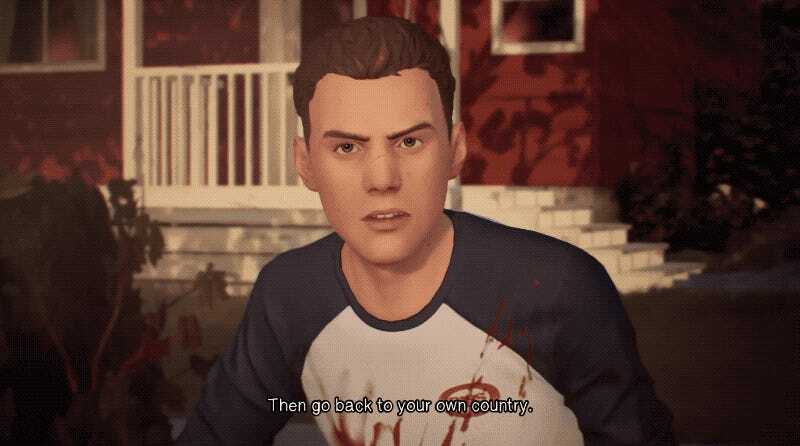 When Sean gets in a fight with his neighbor Brett, Brett yells, “Go back to your own country.” The Diazes are Mexican, Brett is white, and the game takes place in 2016. When I first got to this sequence, I groaned. There are people who are racist in that way, by yelling explicitly racist things at people of other races, but in my life, my experience of racism is more subtle. Later in the game, other characters express racism in more subtle ways that rang more true to me, such as in a scene when Sean and his younger brother Daniel are on the run and stop at a gas station where they get a cold reception. 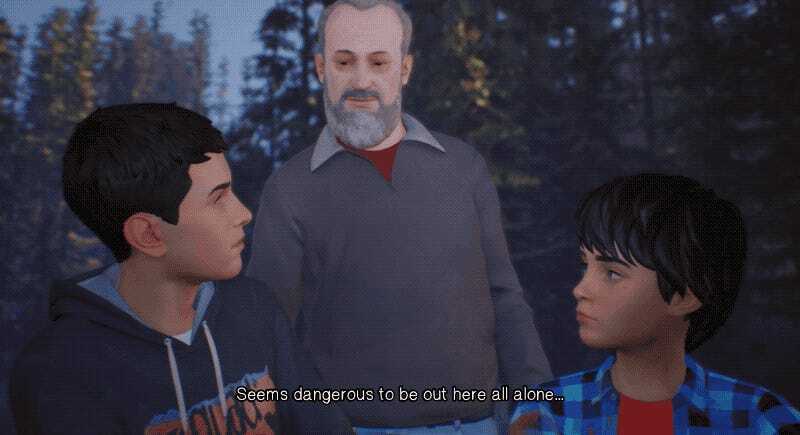 There isn’t an explicit antagonist in Life Is Strange 2, like there was in the first game, in which the main characters were trying to solve a murder. There’s just an air of unease. In my first go around at this episode, I was trying to put a finger on what made me so uncomfortable as I played it. I realized on my second playthrough that the actual antagonist, the force that the players are running from, is the constant spectre of racially motivated violence. Sean and Daniel have lived in Washington state for their entire lives. Their father grew up in Mexico, but his two kids are as American as they can possibly be. But their otherness is ever present. In that gas station, they are the only two people of color. It reminded me of what it was like to drive to college with my dad. We’d always stop once in rural Pennsylvania, grab gas, food and go to the bathroom. Every time I went to a Burger King in some anonymous town, I would realize quickly how out of place we looked, a black man and his daughter in a sea of white people. Like Sean, I tried to make myself as small and unnoticeable as possible, not wanting to incite uncomfortable questioning. Being a person of color means always being aware of your otherness. You’re aware of it when you walk through a room, by the way that people eye you, cross the street to get away from you, follow you around a convenience store to make sure you aren’t stealing. It’s also impossible to ignore in Life Is Strange 2, in part because they lay it on thick. Occasional corniness aside, that’s just how I perceive my own reality. It might feel hackneyed to some players, and at times it is. 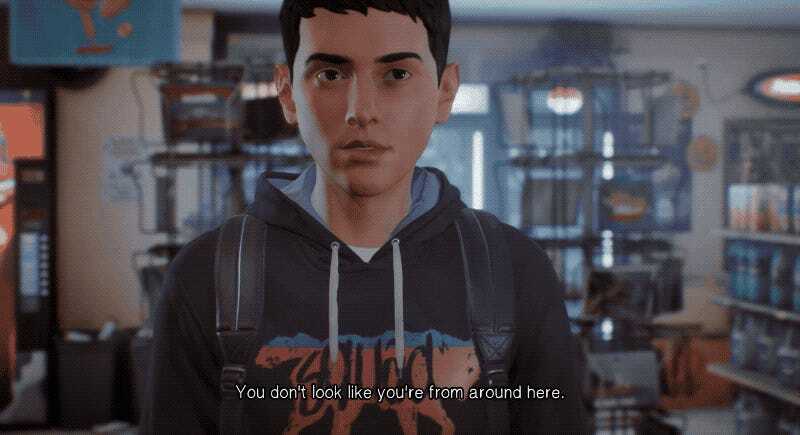 But other times, Life Is Strange 2 rings uncomfortably true.